On today’s Weekly Show, sponsor ThousandEyes is back to catch us up on the latest upgrades to their platform. We discuss a new feature called Device Layer. This feature aims to help customers better understand the performance of routers, switches, load balancers and other network infrastructure within the context of application and service performance. Device Layer uses SNMP polling to collect statistics and performance data from individual devices in a given traffic path. ThousandEyes integrates this information with its existing path visualization to provide even greater insight into how network issues both inside and outside of the corporate WAN affect application performance. Greg and Ethan talk with Nick Kephart, Sr. Director of Product Management; and Dave Fraleigh, VP of Customer Success, about how Device Layer works, the kinds of information it gathers, and how it’s different from existing performance monitoring products. They also discuss other platform upgrades, including improved VoIP monitoring and IPv6 enhancements such as dual stack support. 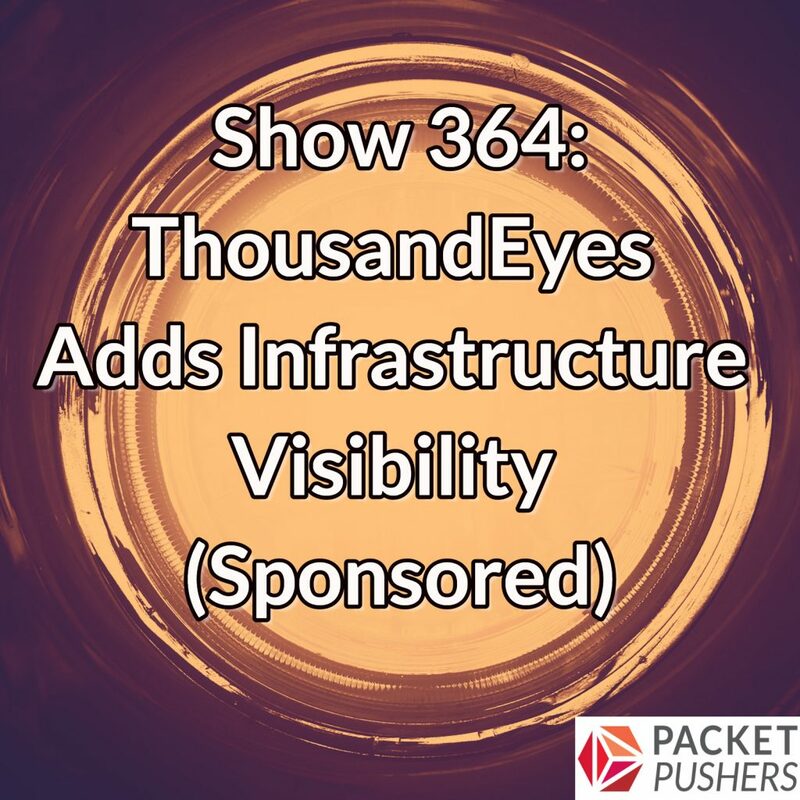 To get more information on ThousandEyes, and get a free t-shirt, head on over to thousandeyes.com/packetpushers.